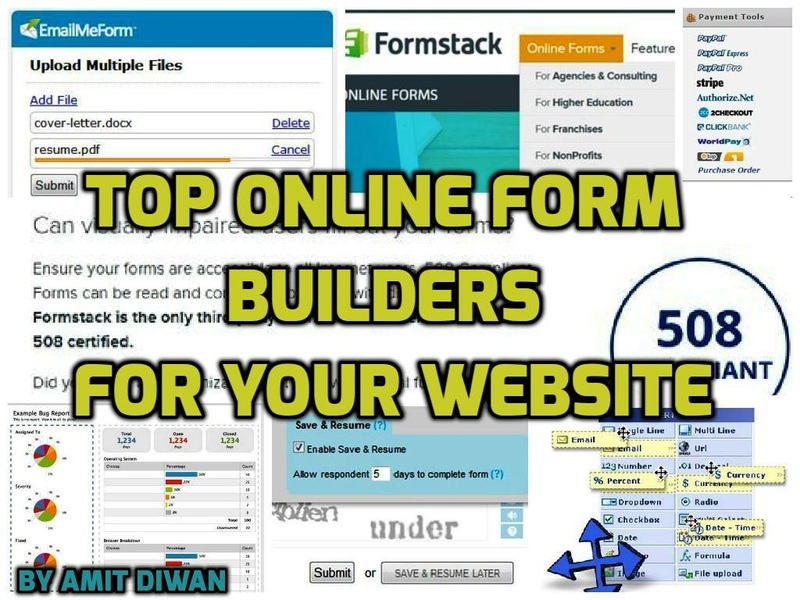 In this article you can compare the top online form builders for your website. Here, I have also shown some of the key features you expect to see in a good form builder. Earlier websites used to have a “contact-us” form with input type fields, validations and a submit button on an HTML web page. These were the essentials of a “contact-us/feedback” form, however certain websites did not have a form. Instead, they had a contact number with live customer service representatives to speak to, or an email address served as a means of contact. A form is an essential component of a website today and consequently creating a form is not a tedious task and possibly even pleasant. It remains the simplest way to acquire all the necessary information and feedback from a user. Now it's even easier to obtain information on the basis of what a user selects, therefore a form designed correctly could help a website owner identify what type of product and service a user wants. Several online form builders for a website will be discussed in this article. Before we dig into the common options, let's first look at some of the key features we'd expect to see in a good form builder. For complete article, visit the website where it was originally published.